A manual that helps to set the agenda of sociologists, anthropologists and many other social scientists. This manual -the new revised and updated edition of “The social theory in the TWENTIETH century”- explained the figures and schools of thought most significant and placed in the context of historical traditions. While maintaining a high level of exposure, it is understandable the complexity of the theoretical and gives an account of the main debates that constitute the guiding thread of the social theory. Like its predecessor, is destined to become a basic text for students of sociology, políticia and anthropology. Patrick Baert and Filipe Carreira da Silva reconsideran in this book the precise situation of social theory today and re-evaluating what they can get and with what object. Begin with a discussion of the functions of the social theory. Argue that not everyone performs the role of facilitator between different disciplines, but it helps to set the agenda of sociologists, anthropologists and many other social scientists. The authors set out their approach to the study of social theory. 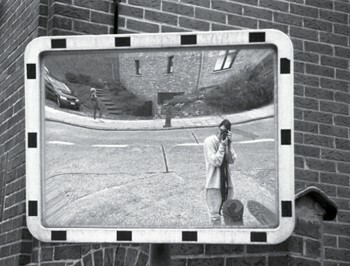 Instead of the search of a reality previously hidden, as suggested by the traditional models of social research, argue that the readings innovative social should be the aim of social theory. Your “pragmatism-inspired hermeneutics” involves four distinct elements (conceptualization, critical review, building and imagination) and urged professionals from the sociology to maintain a broader perspective and to reflect on the world that until now we have underestimated. 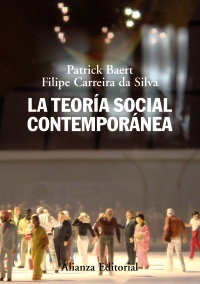 Rather than conceive of social research primarily as an effort to explanatory or predictive, the prospect of Baert and Carreira da Silva is neopragmatista with a clear objective to promote a social research with commitment in relationship with otherness, a process that contributes ultimately to the search of ways more enriching redescripción collective (p. 18). 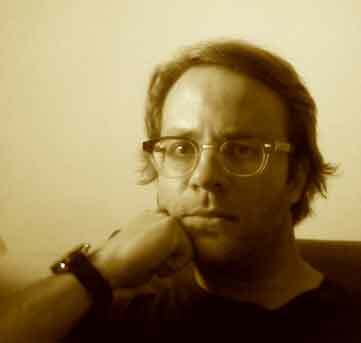 Patrick Baert is professor of Social Theory at the University of Cambridge. He is also the director of studies and fellow of Selwyn College, Cambridge. His interests lie in social theory, philosophy of the social sciences and the sociology of culture. Among his publications are: ofcial Theory in the Twentieth Century and Beyond (with F. Carreira da Silva, 2010), Philosophy of the Social Sciences: Towards Pragmatism (2005), Social Theory in the 20th Century (1998),Time, Self and Social Being (1992), and the edited volumes the Politics of Knowledge (with F Rubio Dominguez, 2012), Conflict, Citizenship and Civil Society (with S. Koniordos, G. Procacci and C. Ruzza, 2010), Pragmatism and European Social Theory (with BS Turner, 2007) and Time in Contemporary Intellectual Thought (2000). Filipe Carreira da Silva is professor of Sociology and associate at the University of Cambridge. He graduated in Sociology (PhD) at Cambridge College of St. Edmund. Before coming to Cambridge he worked at the Institute of Social Sciences of the University of Lisbon, where he is a permanent researcher. In 2010, his book Mead and Modernity [Mead and modernity] was awarded the Book Prize Distinguished by the American Sociological Association (ASA).